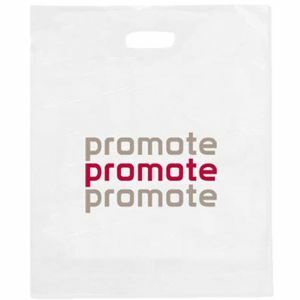 Promotional Polythene Carrier Bags are one of the most popular cost effective bags. These printed carrier bags are made from 180/360 varigauge standard or biodegradable polythene with an aperture handle. If you require a biodegradable polythene then this must be stated at time of order. Biodegradable bags have a shelf life of approximately 18 months, exposure to light can affect this time so we suggest that they are kept in dark storage. 4 spot colour print is available on 48 micron patch handle bags subject to sight of artwork and has a lead time of 3-4 weeks (poa). 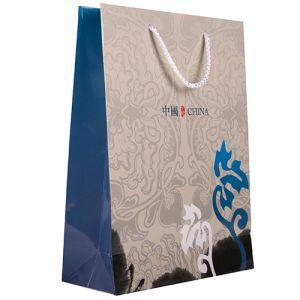 These branded carrier bags are suitable for retail, gift promotion, exhibition etc. 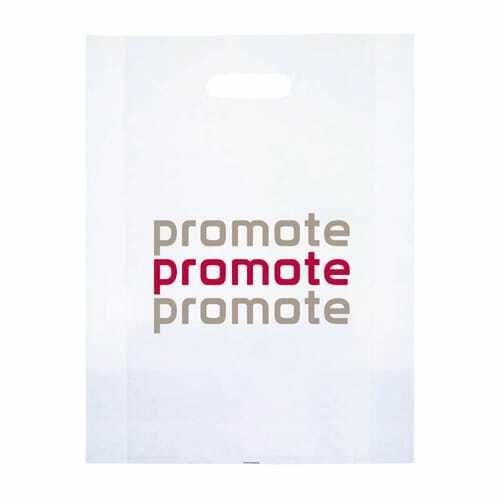 These bags are great value and with biodegradable variants available, they are always a hit with customers as giveaways at events, conferences and meetings.